DesktopTodo 2.2.0 is out. You can download it here. 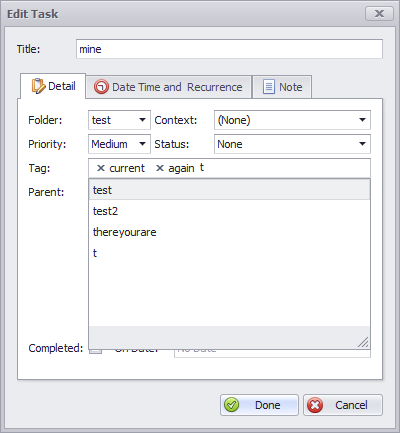 Tag editing now get a new token editor from the previous plain text editor. 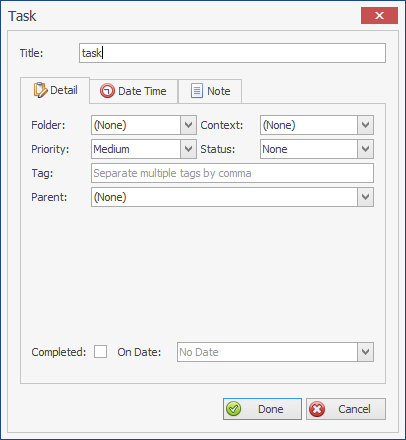 The tag can be deleted added independently with support for auto-hint of the existing tag on the drop down list. 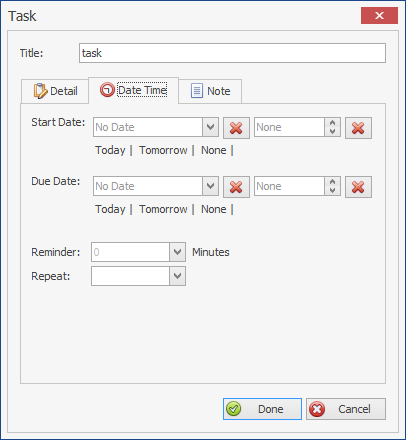 Below are screenshots of it on task dialog. And below is how it looks like on the inline editing on task list. 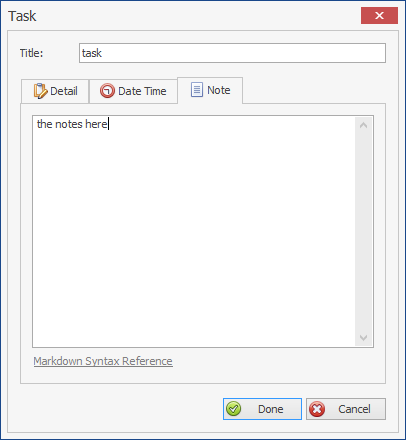 The task dialog has been reorganized. It is now easier and more comfortable to use. The entry fields has been grouped into its relevant tabs to make common entry process more straightforward and less distracting. 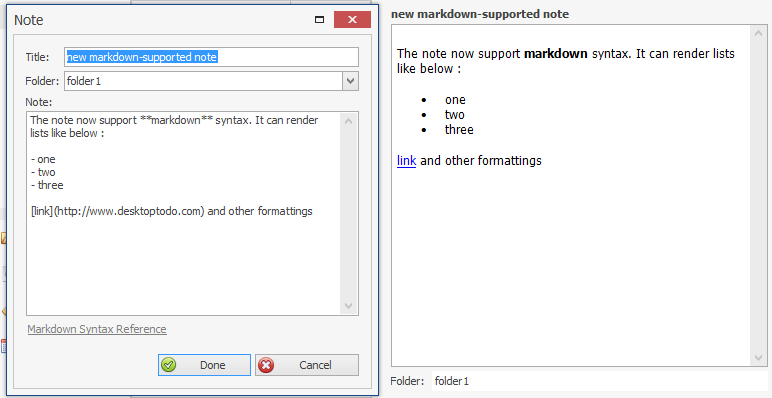 You might also see an interesting hint on the screenshot above, which is..
You can read about markdown here. The above will be available on the next version 2.2 (which will be a free upgrade form 2.1). So, stay tune. DesktopTodo 2.1.2 is out with many bugfixes. You can download it here. DesktopTodo 2.1.1 is now out. You can download it here. DesktopTodo 2.1 is now out. You can download it here. Note for 2.0 Beta User : If you are currently using 2.0 Beta, you will need to clean config and data directory first as explained on this guide. It will be available on 2.1.